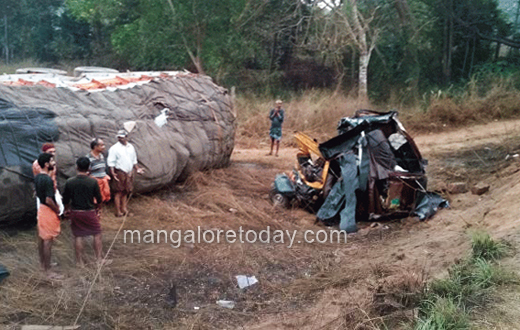 Kasargod, Jan 21, 2018: A woman and her daughter were killed after the auto in which they were travelling collided with a lorry at Poinachi in Kasaragod in the wee hours of Sunday, January 21st. 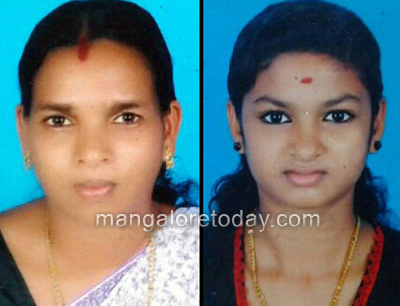 The deceased has been identified as Shobha (32) and her daughter Vismaya (13), who were travelling in the auto. The woman and her daughter were going to Pullur from Bandichal. 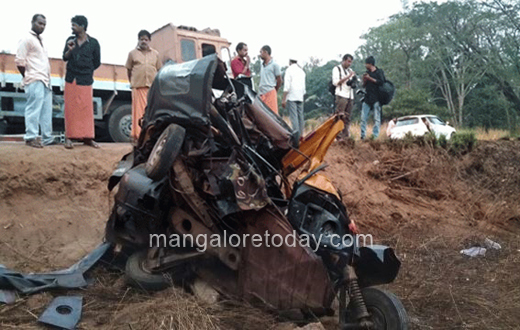 Shobha’s husband Rajan and auto driver Khader were admitted to a hospital in Mangaluru. Rajan and family were going to attend the `Choroonu’ (maiden rice feeding ritual) of their eldest daughter’s child.